Receive your official PSCC Rserving Responsible Serving® of Alcohol Wallet Card for OH Responsible Serving® of Alcohol in the mail! After you complete the course, you are able to generate your printable certificate for OH Responsible Serving® of Alcohol immediately. You will automatically receive your PSCC Rserving bartender's license / wallet card for OH in the mail within 15 days. 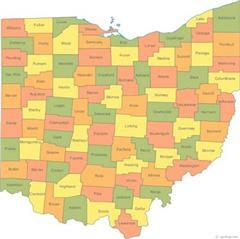 What is the minimum age to sell/serve alcohol in Ohio? The agency that handles Ohio liquor licensing and/or bartender licensing rules and regulations in Ohio is The Ohio Department of Commerce - Division of Liquor Control. The contact information for The Ohio Department of Commerce - Division of Liquor Control is listed below. You can contact them to verify that online server certification (bartender license) can be obtained in Ohio. We have also listed that information where applicable. OH Happy Hour Laws: Happy Hour Laws reference the prohibited practices that result in excessive consumption of alcoholic beverages by consumers. You may NOT offer to sell, furnish, or deliver to any person or group of persons: Two or more servings of an alcoholic beverage upon the placing of an order for an individual serving of an alcoholic beverage; An unlimited number of servings of alcoholic beverages during any set period of time for a fixed price; Any alcoholic beverage after 9pm at a price less than the regularly-charged price. In addition, you may not encourage or allow any game or contest that involves the drinking of alcoholic beverages or the awarding of alcoholic beverages as a prize; nor may you increase the volume of alcoholic beverages contained in a serving without increasing proportionately the price charged for such serving. "Happy Hour" pricing is allowed prior to 9pm, with prices in effect for not less than one calendar month. Yes with restrictions. The Division conducts criminal background checks for each permit applicant, and those are carefully reviewed. However, having a felony conviction does not automatically prevent an individual from obtaining a permit. Ohio law under Ohio Revised Code Section 4303.29 states in part the following: "The division may refuse to issue any permit to or refuse to renew any permit of any person convicted of any felony that is reasonably related to the person's fitness to operate a liquor permit business in this state.